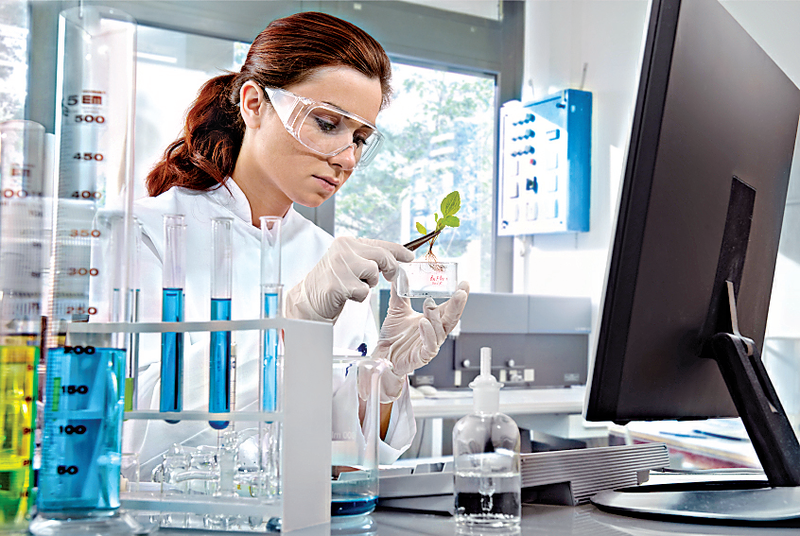 Whether it is fighting disease, developing new seeds, or tackling pollution, Biotechnology is one of the fastest growing fields with its use and application in practically every aspect of daily life ranging from fields like agriculture to industry (food, pharmaceutical, chemical, bio-products, textiles etc. ), medicine, nutrition, environmental conservation, animal sciences and so on. Bioinformatics is an emerging branch of Biotechnology that involves the use of software to utilize information from the vast biological database that is developed by experienced biotechnologists. Bioinformatics is the application of computer technology to get the information that's stored in certain types of biological data. Bioinformatics provides central, globally accessible databases that enable scientists to submit, search and analyse information. It offers analysis software for data studies and comparisons and provides tools for modelling, visualizing, exploring and interpreting data. The main goal is to convert a multitude of complex data into useful information and knowledge. Bioinformatics approaches are used to understand the function of genes, the regulation of cells, drug target selection, drug design, and disease. Without quantitative analysis of the massive amounts of biological data generated by various systems, biology and -omics data cannot be interpreted or exploited. Bioinformatics is a science field that is like but distinct from biological computation and computational biology. Biological computation uses bioengineering and biology to build biological computers, whereas bioinformatics uses computation to better understand biology. It can be understood as the line of study dedicated to the application of computer technology in the analysis and management of biological statistics. While the subject has had profound impact on every part of our living, it is recently getting considered as an important subject matter. What is covered in Bio-informatics? *Analysis and interpretation of various types of biological data including: amino acids sequences, protein domains and protein structures. *Development of new algorithms and statistics. *Development and implementation of tools that enable efficient access and management of different types of information, such as various databases, integrated mapping information. In addition, the extensive knowledge of the run-of-the mill molecular biology packages (GCG, BLAST etc. ), one needs to learn web and programming skills including HTML, Perl, JAVA and C++ and be familiar with a variety of operating systems (especially UNIX). Relational database skills are very much sought after. So, knowledge of SQL and a major database application such as Sybase or Oracle will be highly advantageous. One area of bioinformatics that is set to expand is the determination of relationships between structures and sequence. If one wishes to enter this field, one will need to learn about structural biology and modeling, mathematical optimization, computer graphics theory and linear algebra. Candidates who wish to apply for master's degree in bioinformatics must complete their bachelor's in any of the subjects such as B.Sc/B.Sc (Agriculture)/BCS/BE/B. Tech/MBBS/B. Pharma/BAMS/BHMS/B.V.Sc. Those who wish to go for advanced diploma in bioinformatics should have obtained a Master's degree or M.Sc. in Life Sciences, Physics, Chemistry, Mathematics, Biotechnology, Biophysics, Botany, Zoology, Biochemistry, Microbiology, Pharmacology, Computer Science or Equivalent), M. Sc (Agriculture) or M.Tech or MBBS. Students completing a degree in Bioinformatics from premier institutes can be a part of leading IT firms. Many software companies recruit bio-information's from time to time. Current biological and medical labs use methods that produce extremely large data sets, which cannot be analyzed by hand - for instance sequencing human genomes. Thus, modern biological and medical research and development cannot be done without bioinformatics. Future applications are in biology, chemistry, pharmaceuticals, medicine, and agriculture. In addition, bioinformatics plays an important role in biomedical research. Research work in genetic diseases and medical genomics is rapidly increasing and the future of personalized medicine depends on bioinformatics approaches. Bioinformatics is today seen as primarily applied to speeding up new drug discovery. But the other area that assumes increasingly higher significance is the application of IT to the entire life sciences sector for the same purpose it is done in other industrial sectors- improving efficiency, reducing costs, wider access, etc. For example, bio-diversity data management is an area that requires application of the best database design techniques and planning for data warehousing and data-mining. Know-ledge management as applied to corporations will also become relevant in the scientific context to ensure that Indian scientists get relevant and timely information related to their research to help them network and collaborate to create new intellectual property. Apart from getting a job in the IT sector, candidates with the right skill set and knowledge can apply to pharmaceutical companies, biomedical organizations, biotech research centers, agricultural companies and even NGOs that need a bioinformationists. There is option to become an academician too after completing the studies. Job opportunities in this field are available with research institutions, and with pharmaceutical companies, chemical industries, agriculture and allied industries working to expand the realm of information. *Avestha Gengraine Technologies Pvt. Ltd.